KLearnNotes2 is a software for teaching the names of music notes. It is available for Linux and other Unix-like systems. 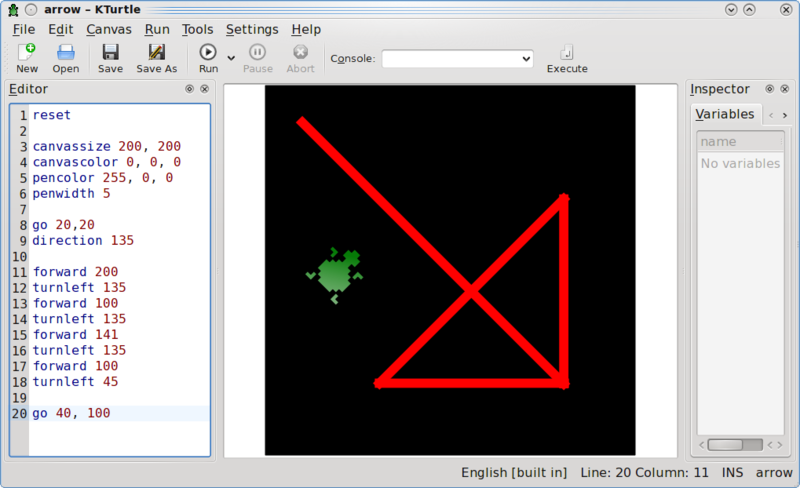 KTurtle is an educational programming environment for KDE. Its aim is to make programming of software as easy and touchable as possible. Klavaro is just another free touch typing tutor for Linux. Klavaro intends to be keyboard and language independent, saving memory and time. 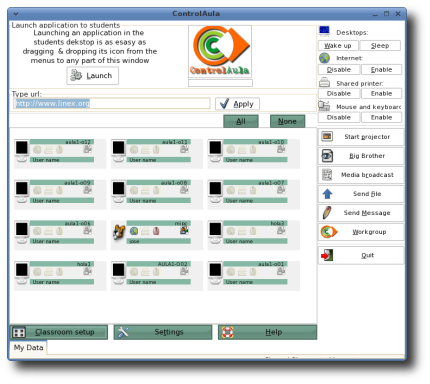 ControlAula is a teaching software for Linux that allows a teacher to control a classroom from his desktop, even from the gnome panel. Moodle s a Free web application that educators can use to create effective online learning sites. OFSET contains Linux teaching software such as DrGeo, GCompris, DrGenius and the live CD freeduc. Claroline is an Open Source eLearning and eWorking software platform allowing teachers to build effective online courses. Available for Linux and other platforms. 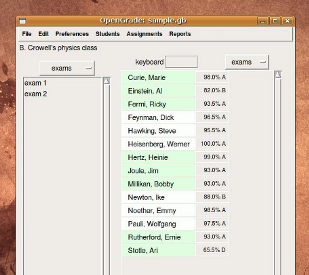 OpenGrade is open-source software for teachers to keep track of grades. It runs on Linux, as well as some other operating systems.